Live Technical Support - FREE Telephone Technical Support 6 Months! On a call & not sure what to do next? We are here When You need Us! Basic Appliance Training - Videos Washer, Dryers, Refrigerators, Dishwashers, Ovens, Stoves, etc... Start with the Easiest Appliances First! How to Get Rid of the 1st Time Jitters! How to Read Schematics - In this course you will learn the basics of schematics as well as advanced schematics reading & testing. NOTE: Our Secure Payment Processors are Stripe & Paypal - You DO NOT need to have an account with "Stripe" or "Paypal" to use them. They are the companies that processes our payments. They WILL process Debit Cards & Credits. If you have any questions please feel to give us a call or contact us via email. 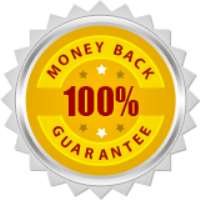 We are so confident that you will absolutely love Cornerstone Appliance Training that we are offering a money-back guarantee… We take all the risk so you don’t have to… Please see our Refund Policy before purchasing.